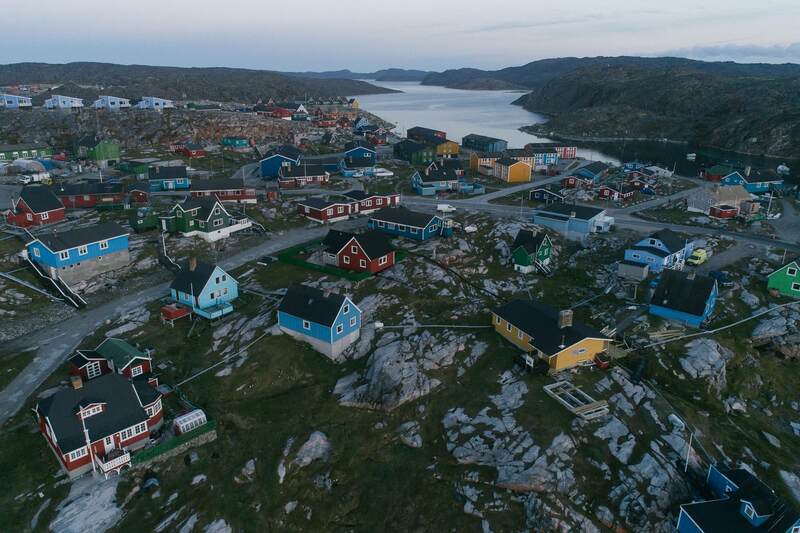 Danish-influenced architecture dominates this village of Aasiaat in North Greenland. Today's Greenlanders are a mixture of its original indigenous Iñuit peoples and the Danish. After a powerful independence movement, Greenland was granted 'home rule' in 1979 and its official language became Kalallisut, or West Greenlandic.